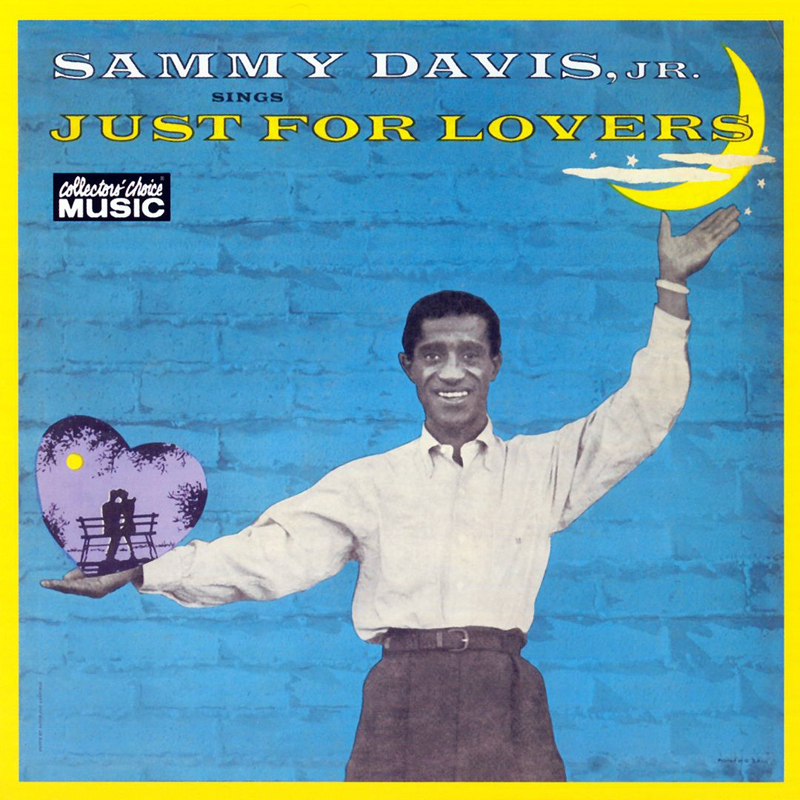 Just For Lovers was Sammy Davis, Jr.’s second LP with Decca records, following up Starring Sammy Davis, Jr., which had been released in April 1955 and shot to #1 on the Billboard album chart. Another album released in April 1955 was Frank Sinatra’s In The Wee Small Hours. Widely heralded as a seminal work which popularised the ‘concept album’ approach (where songs on an album have a theme, rather than just consisting of a collection of singles), Sinatra’s album doubtless had a huge effect on Sammy as much as it did the rest of the industry. 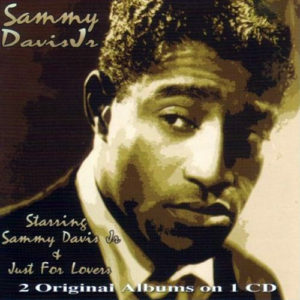 It’s interesting to note that Sammy recorded quite a bit of material in March and May for Decca – all of which was either released on singles (some successfully) or overlooked entirely for inclusion in this, Decca’s next Davis album. Instead, the material for this album comes from five sessions all in July 1955, and one can assume an intent to compile a ‘concept album’ of sorts. As the title Just For Lovers suggests, this would be a ballad album, and the very first song recorded with this purpose was “When Your Lover Has Gone” – also a prominent inclusion on In The Wee Small Hours. Accordingly, Sammy’s nightclub shtick – which Decca had flirted with on Sammy’s previous release – is missing. In its place, this album finds Sammy experimenting with tone, nuance, and the novel notion that sometimes less is more – especially on “Body and Soul” and “These Foolish Things”. 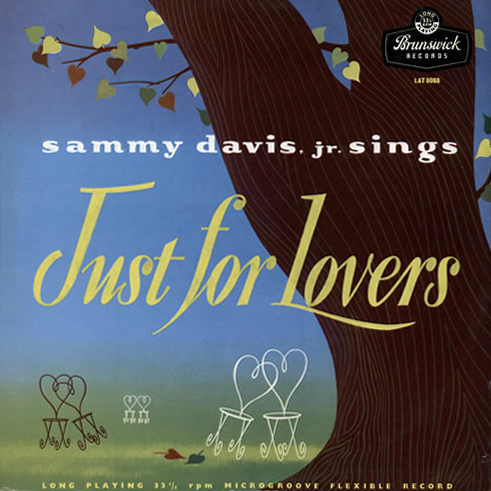 There are some moments of big band bravura from bandleader Sy Oliver and Sammy’s arranger/conductor Marty Stevens (who each provided five arrangements) and Sammy still suffers from his early habit of belting line readings into the microphone (“Come Rain Or Come Shine”), but for the most part the romantic mood is sustained. The album’s closing number “Happy Ending” is a tongue-in-cheek departure entirely, though. Written for the 1951 musical comedy film On the Riviera, it was a show-stopping finale for Danny Kaye, and Sammy treats it exactly the same way. Released in August 1955, Just For Lovers reached #5 on Billboard’s Best-Selling Popular Albums chart, and remained on the chart for 9 weeks. 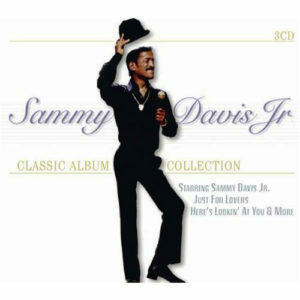 It was Sammy’s last charting album for seven years, until What Kind Of Fool Am I in 1962. Body and Soul: Sammy is accompanied by only piano, bass, drums and guitar, except for a delightful section where it’s just him with a celesta. Right song, right mood, right interpretation. It’s All Right With Me: A number Sammy would return to throughout his career both on record and in his live act, this 6-minute extravaganza features Morty Stevens’ clarinet prominently. These Foolish Things: With plenty of melancholic sax accompaniment, this is as good as low-key Sammy gets at this stage in his recording career. Get Out of Town: One of three Cole Porter numbers on the album, this is given a bongo-dominated arrangement by Morty Stevens. For most of the rest of his career, Sammy would make a number with bongos a major part of his act, and this was probably his first exposure to the idea. From this album onwards, Brunswick (who were releasing Decca LPs in the UK) occasionally chose to use different cover art for the UK releases (see below). Just For Lovers received a direct reissue on CD in Japan in 2006, and from Collector’s Choice in the US in 2007. Several tracks from it had appeared on various compilation CDs up until that point. It can currently be purchased digitally at both iTunes and Amazon. 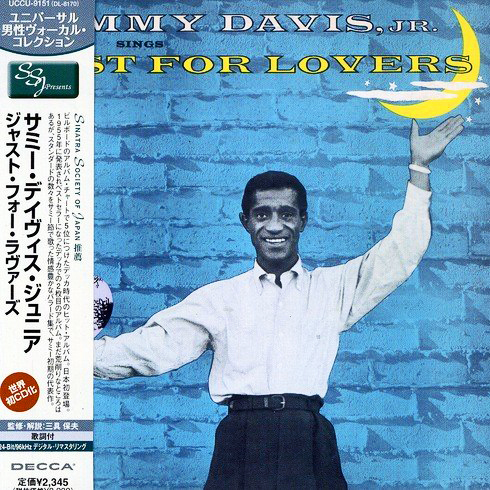 Beware of the Hallmark 2007 release, an unlicensed European CD which purports to contain Starring Sammy Davis, Jr. and Just For Lovers. 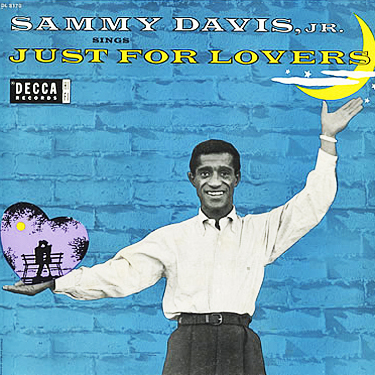 However, it inexplicably omits “Easy To Love”, and “Stan’ Up An’ Fight”, from this album, replacing them with “The Red Grapes” and “Love (Your Magic Spell Is Everywhere)” from Starring Sammy Davis, Jr.
For Brunswick’s UK release of the LP, they used alternative cover art. Japanese CD reissue, with mini vinyl LP replica paper sleeve. Also includes fold-out sheet with liner notes in Japanese, and lyrics to all songs in English.